This entry was posted in Felt, Felt in Focus and tagged embroidery, Felt, felt cell phone cover, Felt in Focus, felt pouch, felt pouches, Felting, flat felt, free machine embroidery, Lisa Klakulak, Pinterest, Tumblr by Nicola. Bookmark the permalink. I love your beautiful pouch, the stitching really is a lovely addition. Wishing you and yours a most Happy New Year! Beautiful work! Hope you will come and teach in the US again! I will definitely be back in 2012 Suzanne and believe me I can’t wait! At the moment I am just in the process of working out dates, talking to organisers and all that sort of stuff, I still need to speak to a few people but keep a look out for exciting news, probably in my very next post!!! You are right about pinterest. Someone sent a link to me two weeks ago and I’m hooked. I look at it every day to see what new thing has popped up. I’ve also been cooking some of the recipes posted there. With all of your internet sites you will keep busy just putting links from one item to the other sites where it appears! The pouch is beautiful! They would sell well on Etsy. With your energy and enthusiasm you’ll soon have your online presence whipped into shape. 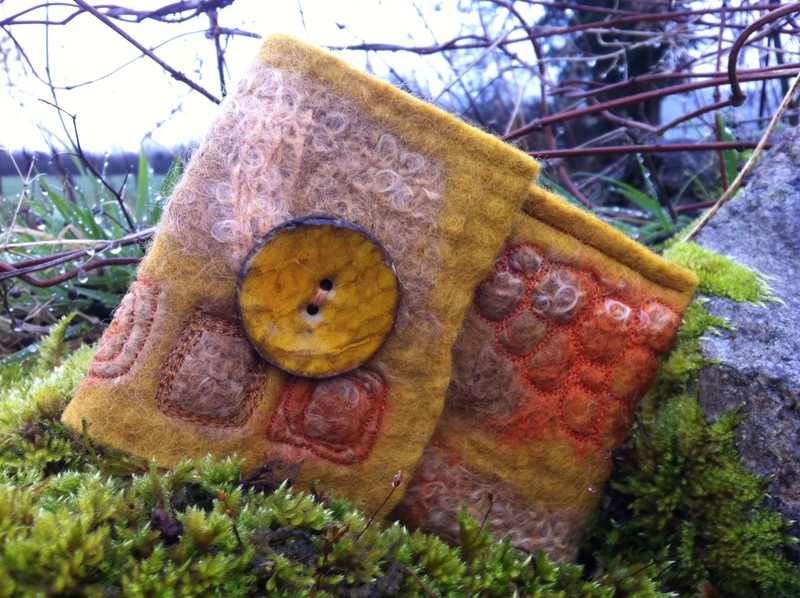 loved your little case when you visited me at Rhinebeck, this one is really special Nicola! Lucky sister! Wishing you a most wonderful, successful and creative 2012!!! Lovely stitching, and pouch. I love to make them too. But I never use them myself. Its too much trouble to take the phone in and out evertime I want to use it. But maybee I should make some again? ?